This is an impression, produced by our architects, of what our fabulous school hall will look like in our new main canal building. It shows the canal on one side and our play ground on the other. 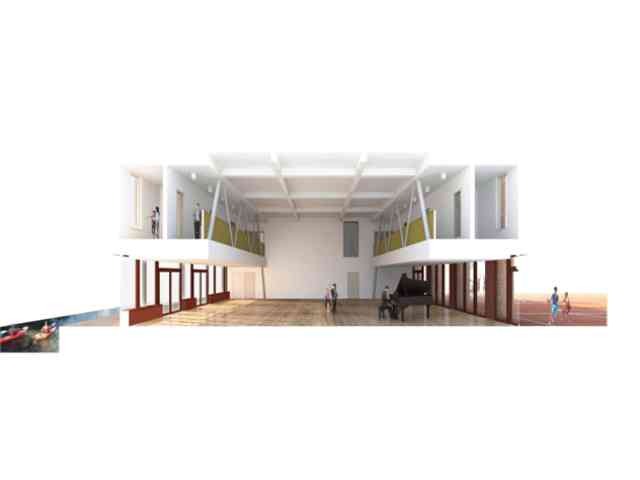 Our music, music technology, recording and drama classrooms are in the gallery above. Just imagine eating lunch or listening to a concert overlooking the canal.